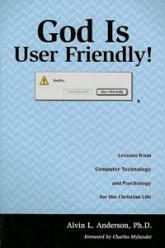 In computer terms, God is user friendly in His way of dealing with human beings. God is more ready to help us than we are ready to receive His help. He wants the very best for us. He wants to be true to the pattern He has designed for us.